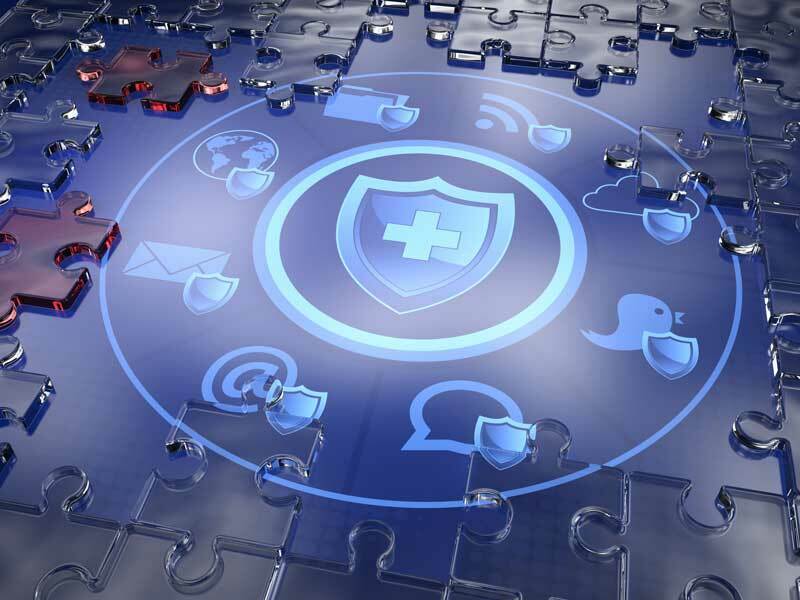 Healthcare Cyber Security has become top priority for healthcare practices since the new Notifiable Data Breaches Scheme was introduced. This year there has been a drastic rise in ransomware attacks on computer systems within the healthcare industry. Some attacks have bought hospitals to a standstill for days and put the confidentiality of patient information at risk. This has called for healthcare organisations to take a serious look at their cyber security and what measures they have in place to prevent such attacks in the future. Let’s explore why healthcare Cyber Security is a growing problem. Number of users: The vast amount of staff that regularly use the system provides many “weak links” and entrances. Correspondence over email between the staff could easily be compromised and insecure machines or devices on the network can provide a way in for hackers. Education and Information: There is not enough education and information in place for users to inform them of the possible risks and safe practices of cyber security. Knowledge of entrance tactics and how to protect yourself on the system could prevent attacks. Constant automation: The forever changing automation and updating of computer systems within the industry has improved efficiency, but caused security measures to fall behind. Keeping the cyber security measures up to date would prevent easy access points for hackers. Easy Money: Hackers are exploiting easy targets who are willing to pay the most amount of money. Health care practices deal with a lot of personal information and that information is now legislated with the Notifiable Data Breaches Scheme. The industry needs to take a preventative approach to their cyber security and tackle the problem from all angles. In many cases there is no solid plan in place for the prevention or recovery from these attacks. But it’s not just the healthcare industry that needs to take cyber security more seriously. Healthcare Cyber security at the a network level is key. Application level firewalls make access to systems more secure and reliable; blocking any potential threat or attack. Email parameter settings can provide a similar safeguard. By verifying senders and blocking harmful or malicious content entering staff’s inboxes, unwarranted entry is drastically reduced. Mishaps with staff clicking harmful links is the number 1 cause of data encryption and is seen all too often. Similarly, adblockers on staffs computers and devices stop entry through ‘malvertising’ and harmful online ads. Backing up your network and files and keeping your systems up to date not only prevent entry ways appearing in your network, but also provide a failsafe system if you are ever attacked. Backing up is the best deterrent for the attackers. Patching your core system should also be a regular practice, preventing holes and entryways appearing in your system that may be exploited for entry. If you regularly backup your system (preferably daily) and are able to reinstate it on your own the attacks really don’t have a bargaining chip. The most shocking truth to come out of these attacks is that even organisations that set out to help people, such as hospitals, aren’t safe from attacks on their cyber security. Their downfall has been their neglect of cyber security and the lack of proper staff and user education. Considering upgrading your Healthcare Cyber Security?